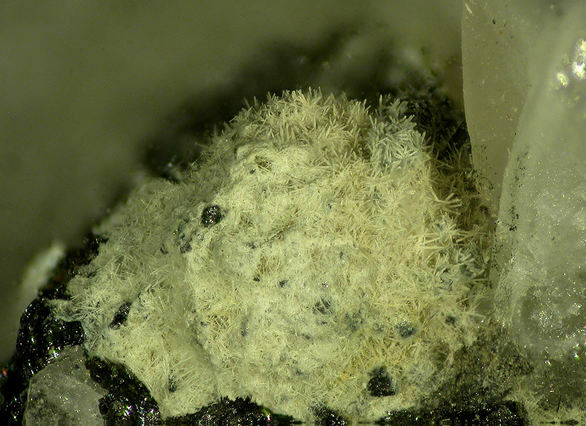 Bismite: Mineral information, data and localities. For Bismuth in its composition. NOTE: Numerous localities for bismuth oxides have been reported, but modern confirmation is required, as most have proven to be carbonates, etc. Crystals microscopic, rare; earthy to pulverulent, compact granular, massive. Bismuthinite 15 photos of Bismite associated with Bismuthinite on mindat.org. Quartz 13 photos of Bismite associated with Quartz on mindat.org. Pucherite 9 photos of Bismite associated with Pucherite on mindat.org. Bismutite 8 photos of Bismite associated with Bismutite on mindat.org. Bismuth 7 photos of Bismite associated with Bismuth on mindat.org. Protojoséite 4 photos of Bismite associated with Protojoséite on mindat.org. Beyerite 3 photos of Bismite associated with Beyerite on mindat.org. Bismoclite 2 photos of Bismite associated with Bismoclite on mindat.org. Muscovite 2 photos of Bismite associated with Muscovite on mindat.org. Walpurgite 2 photos of Bismite associated with Walpurgite on mindat.org. Frondel, C. (1943) Mineralogy of the oxides and carbonates of bismuth. American Mineralogist 28, 521-535. Palache, C., Berman, H. and Frondel, C. (1944) The System of Mineralogy of James Dwight Dana and Edward Salisbury Dana, Yale University 1837-1892, Volume I: Elements, Sulfides, Sulfosalts, Oxides. John Wiley and Sons, Inc. (New York), 7th edition, revised and enlarged, 599-601. Corria Neves, J. M., Lopes Nunes, J. E., Sahama, T. G., Lehtinen, M. and von Knorring, O. (1974) Bismuth and antimony minerals in the graphite pegmatites of northern Mozambique. Rev. Cienc. Geol., Ser. A, 7, 1-37. - Chemical Abstracts (1975), 83, 190 (abstract). Anthony, J. W. et al. (1997) Handbook of Mineralogy, Vol. 3, 60. Márquez-Zavalía, M. F., Galliski, M. Á., Černý, P., & Chapman, R. (2012). An Assemblage Of Bismuth-Rich, Tellurium-Bearing Minerals In The El Quemado Granitic Pegmatite, Nevados De Palermo, Salta, Argentina. The Canadian Mineralogist, 50(6), 1489-1498. Rankin, J., Lawrence, L.J., Sharpe, J.L., Williams, P.A. (2002) Rare secondary bismuth, tungsten and molybdenum minerals from Elsmore, New England district of New South Wales. Australian Journal of Mineralogy, 8:1, 55-60. Sharpe, J.L., & Williams P.A. (2004) - Secondary bismuth and molybdenum minerals from Kingsgate, New England district of New South Wales.- Australian Journal of Mineralogy, vol.10, n°1. Leverett, P., McKinnon, A. R., Sharpe, J. L. and Williams, P. A. (2005): Secondary minerals from the central Cobar mines. Australian Journal of Mineralogy, 11, 75-82. Noble R.J., Just J. and Johnson J. E., (1983), Catalogue of South Australian Minerals-1983, Government Printer, Adelaide, South Australia. Brown, H.Y.L., (1899), Record of The Mines of South Australia , 3rd ed., Government Printer, Adelaide. ⓘ Hampshire Silver Mine ? Bridge, P.J., Pryce, M.W. (1974) Clinobisvanite, monoclinic BiVO₄, a new mineral from Yinnietharra, Western Australia. Mineralogical Magazine 39:308, 847-849. Hatløy, S. (2013). From cold to hot: post-Hirnantian sedimentary basins in Bolivia-A source rock for hydrocarbon deposits in the Andes?–A case study of the Uncía and Catavi formations. MS Thesis University of Stavanger. Berger, V.I., Singer, D.A., and Orris, G.J., 2009, Carbonatites of the world, explored deposits of Nb and REE; database and grade and tonnage models: U.S. Geological Survey Open-File Report 2009-1139, 17 p. and database. Chen, J., Halls, C., and Stanley, C.J. (1992): Chinese Journal of Geochemistry 11(2), 140-155. Sejkora, J., Ondruš, P., Fikar, M., Veselovský, F., Mach, Z., Gabašová, A., Skoda, R. & Beran, P. (2006): Supergene minerals at the Huber stock and Schnöd stock deposits, Krásno ore District, the Slavkovský les area, Czech Republic. Journal of the Czech Geological Society 51, 57-101. Pauliš P. Nejzajímavější mineralogická naleziště Čech. Kuttna 2000. Kutná Hora. Tuisku, Pekka 2010. Heavy minerals from gold sluicing in Lapland Gold Rush area and their bearing on the origin of gold bearing tills. Res Terrae, Ser A, N:o 31. Proceedings of the Nordic Mineralogical Network V annual Meeting. P. Devismes : "Atlas photographique des minéraux d'alluvions", BRGM, 1978. GAYRAUD, L. (2010): Gisement de phosphates de Castelnau-de-Brassac aux environs de Fumade (Tarn), Le Cahier des Micromonteurs, 107, 12-17. Habel, M. (1995). Neufunde aus dem 'Östlichen Bayrischen Wald'. Mineralien-Welt, Jg.6, Nr.1, S.44-46. 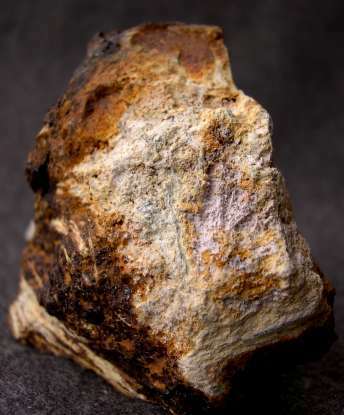 Weiss: "Mineralfundstellen, Deutschland West", Weise (Munich), 1990; - Dreyer, G. and Tillmanns, E. (1981): Dreyerit: ein natürliches, tetragonales Wismutvanadat von Hirschhorn/Pfalz, N. Jb. Miner. Mh. Jg. 1981, H.4, 151-154. Voudouris, P., Melfos, V, Spry, P.G., Bonsall, T.A., Tarkian, M. & Solomon, Ch. (2008): Carbonate-replacement Pb-Zn-Ag+/-Au mineralization in the Kamariza area, Lavrion, Greece: Mineralogy and thermochemical conditions of formation. Mineralogy & Petrology 94, 85-106. Solomos, C., Voudouris, P. & Katerinopoulos, A. (2004): Mineralogical studies of bismuth-gold-antimony mineralization at the area of Kamariza, Lavrion. Bulletin of the Geological Society of Greece 34, Proceedings of the 10th International Congress, Thessaloniki, Greece, 387-396 (in Greek with English abstract). Schnorrer, G. & Breitenbach, H. (1999): Neue Minerale von den alten Lagerstätten Lavrions/Griechenland. Aufschluss 50, 207-209. 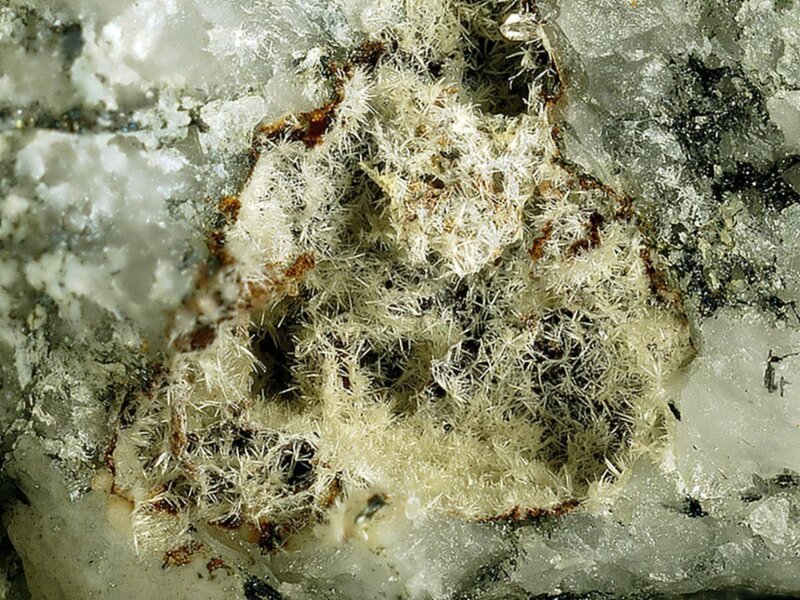 [bismite and bismuth describe therein are from the Jean Baptiste mine - Branko Rieck pers. comm. to Uwe Kolitsch 2012]; Rieck, B., Kolitsch, U., Voudouris, P., Giester, G. and Tzeferis, P. (2018): Weitere Neufunde aus Lavrion, Griechenland. Mineralien-Welt 29 (5), 32-77 (in German). Viladkar, S. G. Graphite-bearing dolomite carbonatites in Newania, Western India. - Orlandi, P., Gelosa, M., Bonacina, E., Caboni, F., Mamberti, M., Tanca, G., A. et Vinci, A. (2013) : Sardignaite, gelosaite et tancaite-(Ce) : trois nouveaux minéraux de Su Seinargiu, Sarroch, Sardaigne, Italie. Le Règne Minéral, 112, 39-52.; Orlandi P., Gelosa M., Bonacina E., Caboni F., Mamberti M., Tanca G.A., Vinci A. (2015): Sette nuove specie mineralogiche della Sardegna. I minerali della mineralizzazione a molibdeno e bismuto di Su Seinargiu (CA). Riv. Mineral. Ital., 39, 2, 84-115. -Bortolozzi G., Blass G., Boscardin M., Rocchetti I. and Ferretti P. (2013): La Miniera di Cinquevalli (Valsugana, Trentino-Alto Adige): aggiornamento sulle specie accertate negli ultimi anni. Studi Trent. Sci. Nat., 93, pagg. 149-165. Anthony, J. W. et al. (1997): Handbook of Mineralogy, Vol. 3, 60; 浜地忠男, & 谷正巳. (1961). 岐阜県苗木地方ウラン調査報告. 纐纈山および西大洞地区の砂鉱. 地調月報, 11, 34-40. Harada, S., Suzuki, Y., Miyawaki, R., Momma, K., Shigeoka, M., Matsubara, S. (2017) Bi-bearing minerals at the Jishakuyama ore deposit of the Akagane mine, Iwate Prefecture, Japan. Ranorosoa, N. (1986): Etude mineralogique des pegmatites du champ de la Sahatany, Madagascar. These de Doctorat de l`Universite Paul Sabatier, Toulouse. Frigstad, O.F. (1968): Den förste norske forekomst av mineralet bismit. in Geologisk Museum. Interne notater 1961-1990. Published by Geologisk Museums Venner, Oslo 1991, p 18. Kozłowski, A., & Matyszczak, W. (2018). Oxygenic bismuth minerals in the NE part of the Karkonosze pluton (West Sudetes, SW Poland). Acta Geologica Polonica, 68(4). ; Mochnacka, K., Oberc-Dziedzic, T., Mayer, W., & Pieczka, A. (2015). Ore mineralization related to geological evolution of the Karkonosze–Izera Massif (the Sudetes, Poland)—Towards a model. Ore Geology Reviews, 64, 215-238. Domańska, J.: Rędziny. Otoczak, nr. 29, p. 38-52. Pedro Alves collection and analytical data. Potseluev, A.A., Babkin, D.I., and Kotegov, V.I. (2006): Geology of Ore Deposits 48(5), 384-401. Sandimirova, E. I., Sidorov, E. G., Chubarov, V. M., Ibragimova, E. K., & Antonov, A. V. (2014). Native metals and intermetallic compounds in heavy concentrate halos of the Ol’khovaya-1 River, Kamchatsky Mys Peninsula, eastern Kamchatka. Geology of Ore Deposits, 56(8), 657-664. M. Ruiz Montes, notes IGME 1973.; M. Ruiz Montes (1973), Instituto Geominero de España (IGME) notes. Romero Silva,JC; Martos J; Navarro Garcia,JM (2012). La Mina Conchita de Estepona (Malaga). un raro yacimiento de metales complejos en Sierra Bermeja. Edita Anuario de Estudios sobre Ronda y la Serrania Takurunna nº2; año 2012 pag.9. Calvo, M. (2009). Minerales y Minas de España. Vol. IV, Óxidos e Hidróxidos. Escuela Técnica Superior de Ingenieros de Minas de Madrid - Fundación Gómez Pardo. 752 pp. Collins, J.H. (1892): "A Handbook to the Mineralogy of Cornwall and Devon", 2nd ed., D. Bradford Barton Ltd. (Truro, UK), pp. 108. Collins, J.H. (1871): A Handbook to the Mineralogy of Cornwall and Devon. D. Bradford Barton Ltd. (Truro, UK), 108 pp. Collins, J.H. (1892): A Handbook to the Mineralogy of Cornwall and Devon, 2nd ed., D. Bradford Barton Ltd. (Truro, UK), 108 pp. Anthony, J.W., et al (1995), Mineralogy of Arizona, 3rd.ed. : 138; Graeme, R. (1993), Bisbee revisited, Min.Rec. : 24: 421-436. Anthony, J.W., et al (1995), Mineralogy of Arizona, 3rd.ed. : 139. Anthony, J.W., et al (1995), Mineralogy of Arizona, 3rd.ed. : 138; Galbraith, F.W. & Brennan (1959), Minerals of Arizona: 33. Meeves, H., et al (1966), Reconnaissance of beryllium-bearing pegmatite deposits in six western states, US Bur. Mines Info. Circ. 8298: 20 (Table A-1). Meeves, H., et al (1966), Reconnaissance of beryllium-bearing pegmatite deposits in six western states, US Bur. Mines Info. Circ. 8298: 21 (Table A-1). Anthony, J.W., et al (1995), Mineralogy of Arizona, 3rd.ed. : 138, 139; Lindgren, W. (1926), USGS Bull. 782: 28, 184-185; Galbraith, F.W. (1947), Minerals of Arizona, AZ Bur. Mines Bull. 153: 22; Galbraith, F.W. & D.J. Brennan (1959), Minerals of AZ: 33, 44. Galbraith, F.W. & D.J. Brennan (1959), Minerals of AZ: 33. Mineralogical Record (1998): 29: 165. Jahns, R. H. and Wright, L. A. (1951), Gem and Lithium-bearing pegmatites of the Pala District, San Diego County, California. California Division of Mines special report 7A: 40; Pemberton, H. Earl (1983), Minerals of California; Van Nostrand Reinholt Press: 186. Jahns, R.H. and Wright, L.A. (1951), Gem and Lithium-bearing pegmatites of the Pala District, San Diego County, California. California Division of Mines special report 7A: 38; Pemberton, H. Earl (1983), Minerals of California; Van Nostrand Reinholt Press: 186. Foord, Eugene E. et al (1989), Mineralogy and Paragenesis of the Little Three Mine Pegmatites, Ramona District, San Diego County, California. Mineralogical Record, 20(2): p. 121; Mineralogical Magazine (1996), 60: 387-388.
ⓘ Lane's Mine (Lane's Lead and Silver Mine; Elm Street) ? Collected by and in the collection of Brent Thorne. EDS analyzed by Excalibur Minerals. Brother Juan Salvador collection, traded from American Museum of Natural History (New York), 12-1-1978.